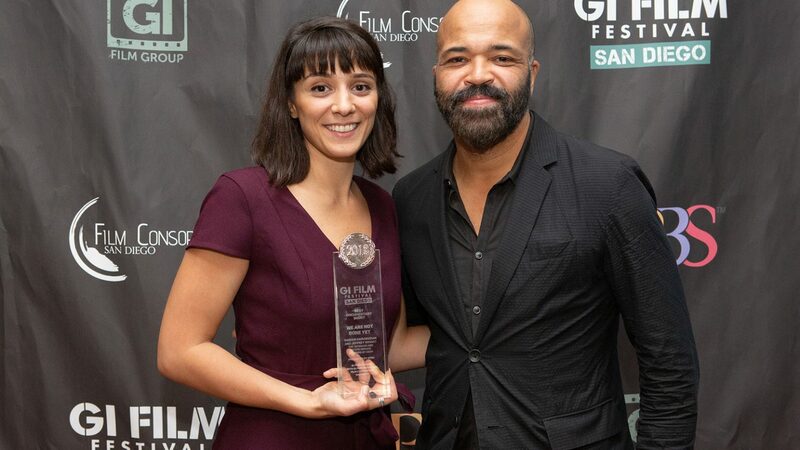 GI Film Festival San Diego returns September 24-29, 2019 with Family Movie Night scheduled for September 6, 2019. Mark your calendar to join us for another run of films and events that bring the stories of America’s military to life. Stay connected for news, announcements, and details. SUBMISSIONS FOR THE 2019 FESTIVAL ARE NOW BEING ACCEPTED. 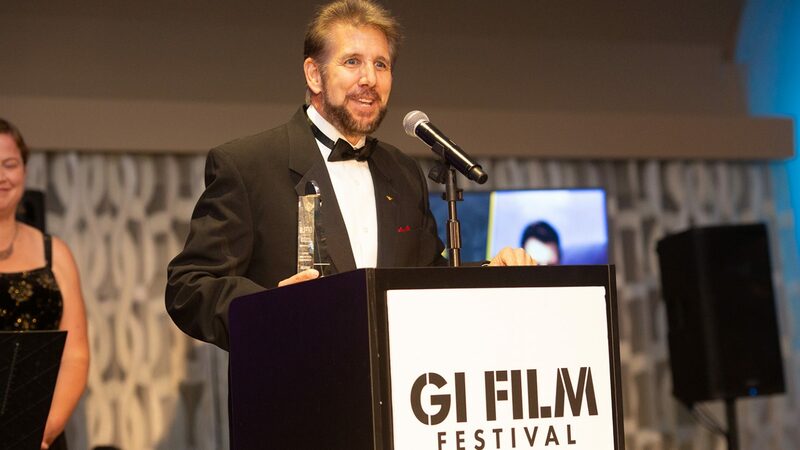 Director, Mark A. Vizcarra accepts the award for Best Film Made By or Starring Veterans or Military for “Thud Pilots.” This documentary feature film tells the unknown story of the men who flew the F-105 THUD over the deadly skies of North Vietnam. 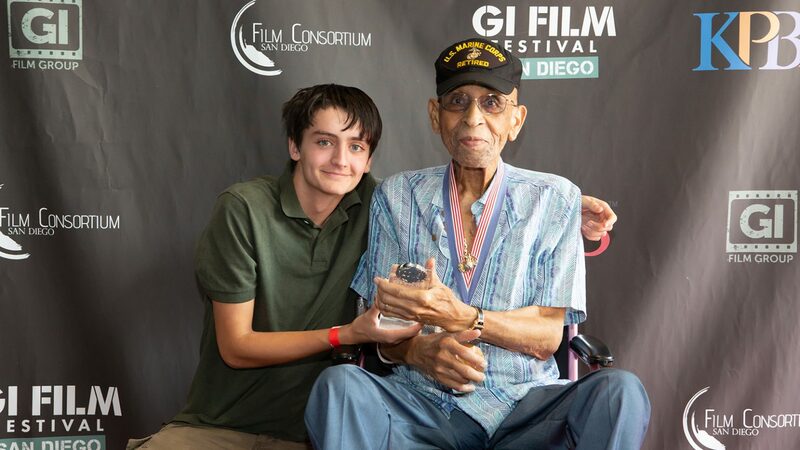 The Local Film Showcase – Best Student Film was awarded to Director, Aiden Keltner (left) and Film Subject and Veteran, Thomas Edward Johnson (right). 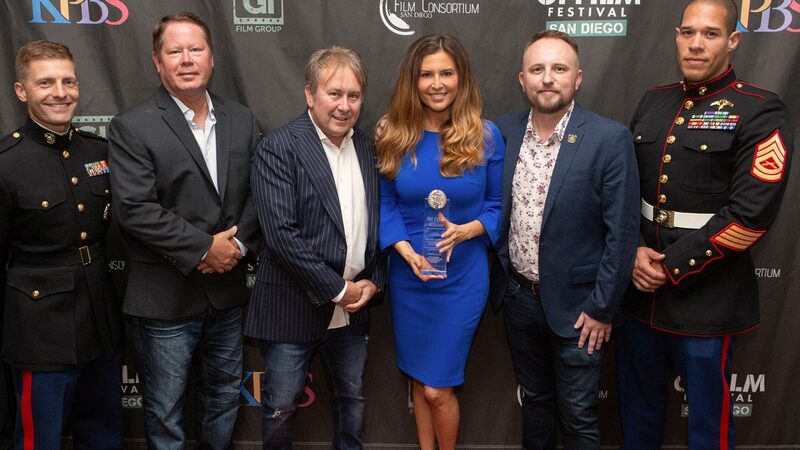 “Let It Go,” directed by Stephanie Heim, received three awards for Best Narrative Short, Local Film Showcase – Best Actress (Actress, Leaphy Khim), and Best Film Made By or Starring Veterans or Military. 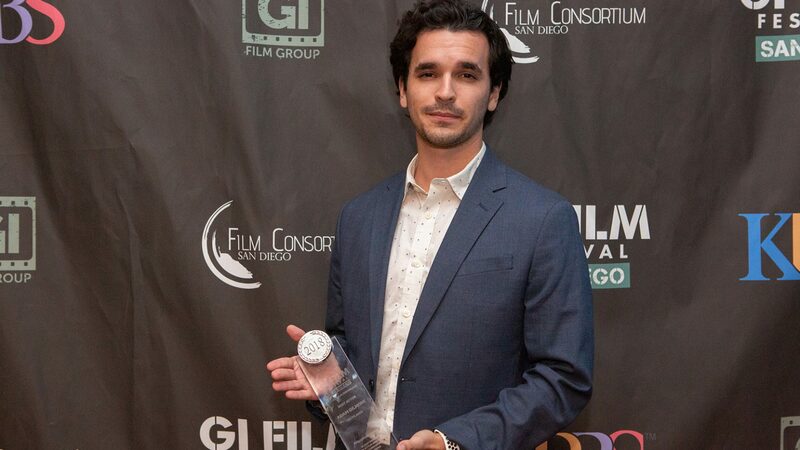 “Major Capers: The Legend of Team Broadminded” received the Local Film Showcase – Local Choice Award. Directed by Ashley Cusato, this documentary portrays the extraordinary life story of Major James Capers Jr., an American hero, who persevered through adversity and after 50 classified missions rose to become one of the most decorated Force Recon Marines in history. 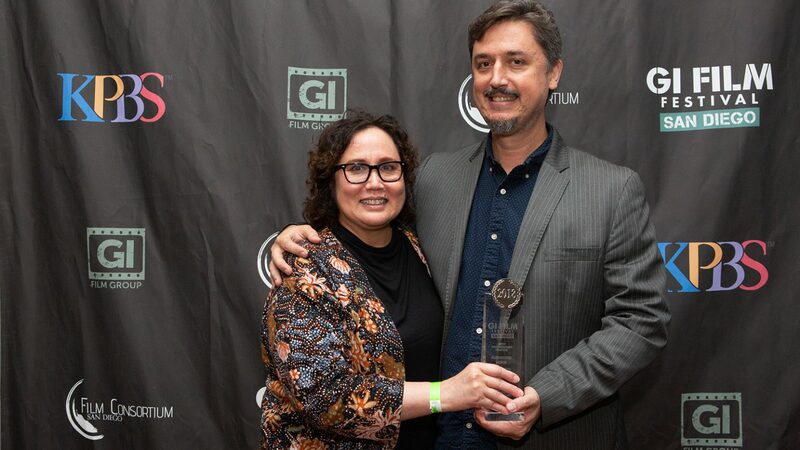 Best Documentary Feature went to Directors Jillian Moul & Matthew Moul for their documentary, “Surviving Home.” This intimate documentary follows four U.S. military veterans from different generations over an eight-year period as they rebuild their lives after war. 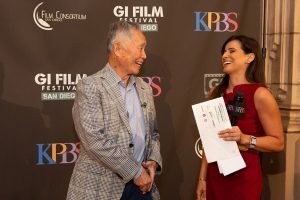 The festival is organized by KPBS in partnership with the Film Consortium San Diego and the GI Film Group. 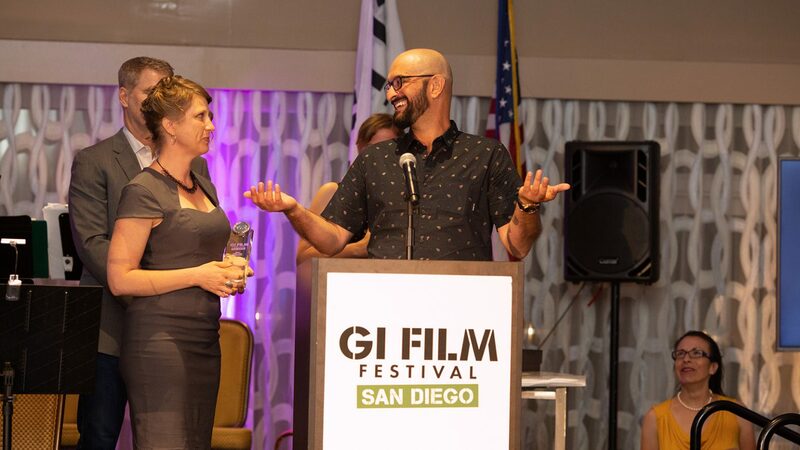 Official sponsors of the 2019 GI Film Festival San Diego include: Kaminskiy Design & Remodeling, The Super Dentists, and BAE Systems. Additional support is provided by Scatena Daniels Communications. KPBS is a proud member of the San Diego Veterans Coalition and the San Diego Military Family Collaborative.